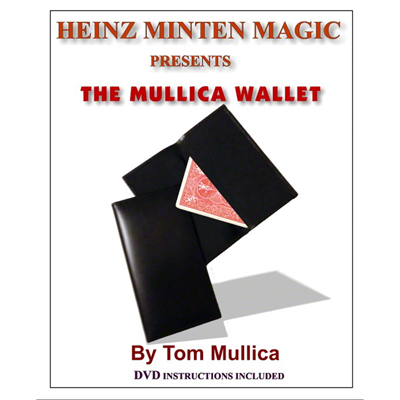 Today, when you order "Mullica Wallet (with DVD) by Heinz Minten & Tom Mullica", you'll instantly be emailed a Penguin Magic gift certificate. You can spend it on anything you like at Penguin, just like cash. Just complete your order as normal, and within seconds you'll get an email with your gift certificate. I have used a Mullica Wallet for years (mine is worn out) and I hated buying one from someone when I wasn't sure Mullica was getting anything from it. This is a very nicely made wallet and should last me for another 20 years. I recommend it very highly. I have been using my Mullica wallet for 25 years and bought many other wallets. Some have been good, some have been poor, but none have been the Mullica. I think it is about time that Mullica is getting a piece of the price of his invention. Simply put I don't know of a better card to wallet that this one. The craftsmanship is great, the work is the best, and it is a no reset, no palm card to wallet. BUY IT NOW! You will not regret it. Best Mullica on the market. The material is excellent and has no residual smell. Others I have seen are too large and have problems of tipping the card. Only very slight drawback is that the inner pocket holds the inner wallet a little too tight. However, that can be corrected by using something to stretch it out a little such as a cellphone or even by putting the whole inner wallet inside the inner pocket. 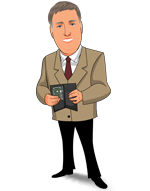 I have personally performed with this wallet and have had no problems getting a favorable audience reaction. I debated about getting this for a long time. I’m glad I finally got one. Great quality and an easy method. It will take practice but you can concentrate on your presentation. This one can fry their minds. Don’t wait like I did. Bought for grandson for Christmas, he is a budding 15 year old magician. 0 of 17 magicians found this helpful.